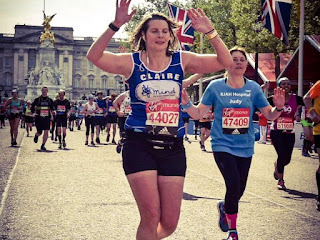 If you want to get fully involved in supporting the London Marathon this Sunday, and want to sponsor a runner, can I recommend the lady who brought me back into the classroom after my time out, and continues to inspire me? Go here to donate to Claire. Claire will also be running in the Uganda Marathon in June, our main King's Ely Junior fund raising choice.